Scrum meeting and retrospectives are the two key Scrum practices. These two practices provide an opportunity, for every team member to express themselves. Expression is not only the key message here; the team is allowed to share the impediments, bottlenecks, risks, issues and what is not working well for them. Some cultures don’t encourage expressing negative feelings in public. Even when there is terrible issue in the project, the team members will keep saying everything is working fine until the issue becomes so big that it is not solvable. It is not that they want to hide anything, it is just that, they want to silently solve it by themselves. This cultural problem aggravates if the team is working in onshore/offshore mode. The onshore members have to rely on the voice or emails, when they cannot see the body language of offshore team. If you are working on one of those projects, then one would see a no-issue period for few iterations and then a huge panic after that. Even during retrospectives, one would see a big list of all the good things, and a small list of improvement areas. Impact: Continued suffering by project members and since issues are detected at a very late stage, additional effort and stress gets added. Team members from expressive cultures would challenge every issue and bring out impediments upfront. This provides an opportunity for all the stakeholders to address concerns upfront. If you are working on one of those projects, one would end up having a long list of impediment issues and retrospective items to cover. I see more pros than cons here. Some times decision making becomes difficult as the team members would end up spending a lot of time debating issues. Hierarchical cultures have a strong command and control style of leadership. Typically, a lead represents the entire team and makes all the key decisions. The team members just follow the directions from the lead with no questions asked. The team members will be like “Blinkers” on horses eyes. They can only see or hear few things from a window given by the lead. >> The team members will only share impediments/blockers that are allowed to be shared by the lead. >> The impediment list from Scrum meeting and the feedback items from the retrospective will have a pattern of certain issues only. Because, these are the only patterns that are allowed by the lead to be shared to the outside world. 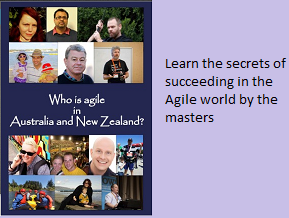 Let me know if you have other stories about the cultural impact on Agile practices. Am happy to publish it.